In many cases, our workplaces have become more diverse by default than by design. In others, companies have made a concerted effort to diversify their employee base to gain a competitive advantage. To make diversity work, organizations must develop strategies to address both the challenges and opportunities. 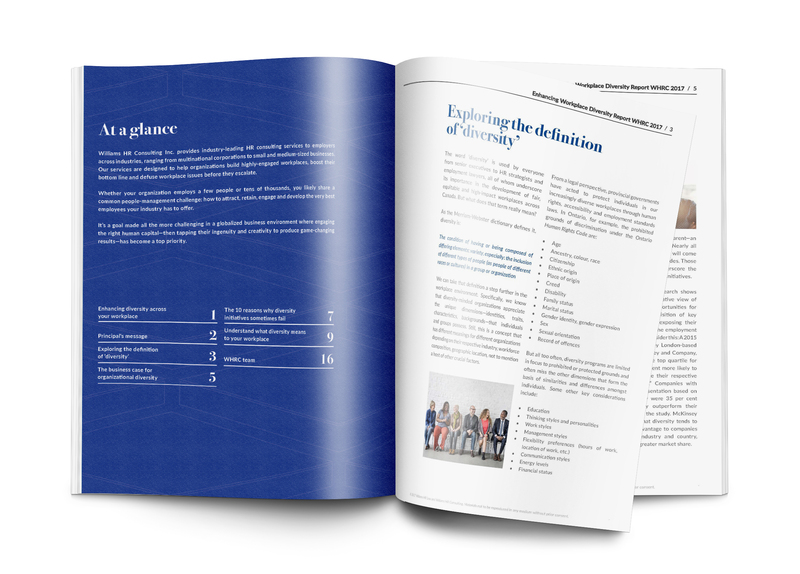 Download Williams HR Consulting’s Enhancing Workplace Diversity Report now for strategies to embrace the many opportunities that come with employing individuals of varying backgrounds, experience levels and skill sets. Consider this report your definitive guide to making diversity work for your workplace, with a focus on leveraging diversity to achieve business success – and why so many fail at the task. Canadian workplaces are more diverse than ever, particularly when it comes to the age of employees. In fact, your organization may be represented by up to five generations, a reality that poses unique challenges and opportunities. 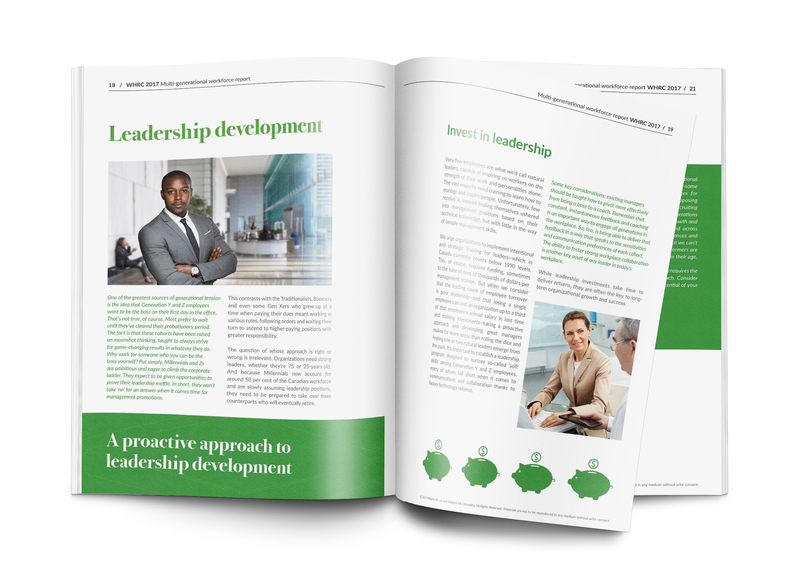 Download Williams HR Consulting’s Multi-Generational Workforce Report now for strategies to maximize engagement and innovation across your workforce in six key areas: workplace culture, learning and development, compensation, performance management, workplace flexibility and leadership development. Consider this report your definitive guide to harnessing the potential of the multi-generational workforce, with a focus on building the very best work environment possible—one that appeals to employees of all ages.